Vacuum sealing food has become more and more popular recently, with clean eating trends and meal prep blogs putting more emphasis on eating fresh in spite of our busy lifestyles. Whether you need some way of storing leftovers for easy dinners later in the week or you're fed up of salad always turning into a slimy green mess before you get chance to use it, vacuum sealing is the ideal way to make food last longer. If you're new to the idea of vacuum sealing or you aren't sure the benefits of this form of food preservation fit into your lifestyle, we have put together this guide to help you discover which FoodSaver products would best suit you. 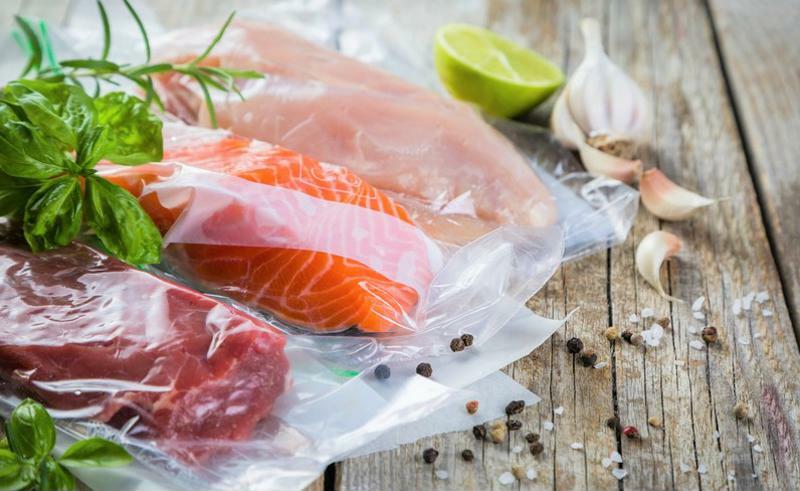 With everything from which foods you can vacuum seal to how to choose the right vacuum sealer for your needs, this is the definitive guide to getting started on vacuum-sealed food storage. Is Vacuum Sealing for You? Vacuum sealing is a really great storage solution for a variety of common problems people have when it comes to eating fresh food at home. For those who have a strict food budget, vacuum sealing makes it easier to take advantage of multipack discounts and bulk buying foods. Because vacuum sealing food can preserve it up to five times longer than standard storage, you can buy food that you wouldn't usually be able to use before it spoiled and store it for longer. It is also a great way to make meals in advance and then store them for use weeks or even months later, making it easier to eat homemade food even when you're busy. Vacuum sealing also helps to reduce household waste, by making both fresh and cooked food last longer. Whether you want food to last longer in the fridge, in the freezer, or in your store cupboard, vacuum sealing is an ideal solution. When you've got a busy life, eating fresh can be a challenge, whether you're fitting a quick meal in between business meetings or trying to get the kids to choose carrots over crisps. It doesn't help when you get to the fridge, only to find that last night's leftovers have seen better days and you don't have time to cook. Or when you sit down to lunch at work, only to discover that your salad has become unappetisingly limp and there is a burger restaurant across the road. This is where FoodSaver's range of products for on-the-go freshness can help out. The FoodSaver Fresh Food Preservation System is the perfect product for those who have busy lives but still want to eat fresh food. Designed to work with Zipper Bags and Fresh Food Storage Containers, everything about the system has been crafted to make daily freshness easier. Vacuum sealing your fresh food will keep it fresher for up to five times longer, meaning that those carrot sticks you chopped on Sunday will still be crisp and delicious on Tuesday. Keep food fresh when you're on the go. The FoodSaver Zipper Bags and Fresh Food Storage Containers both offer distinct advantages, and can complement one another perfectly. If you are looking to preserve ingredients for your family's favourite dishes or add a little longevity to leftovers, the Zipper Bags are perfect. Keeping the food fresher for longer, the Zipper Bags take up minimal space, perfect for storage in the cupboard, fridge and freezer. Alternatively, if you are looking to improve meal planning and prep for your family (more of that next), the Storage Containers may be preferable. 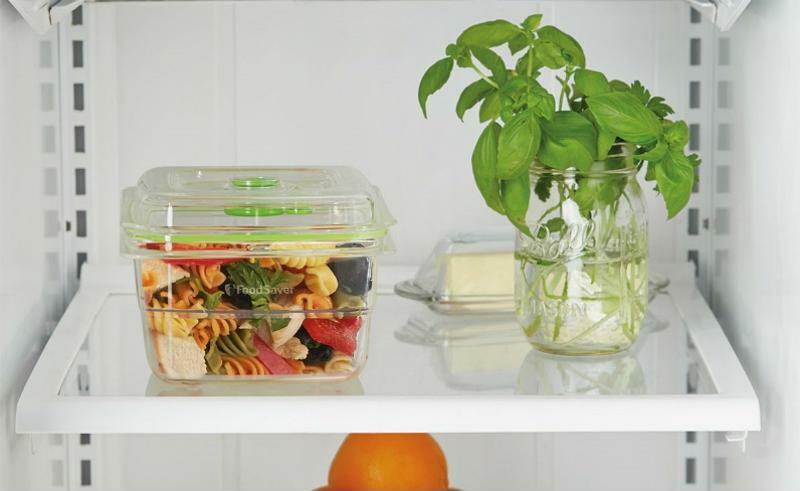 The containers help you retain the freshness in meals and snacks – perfect if you want to revamp your workplace lunches. 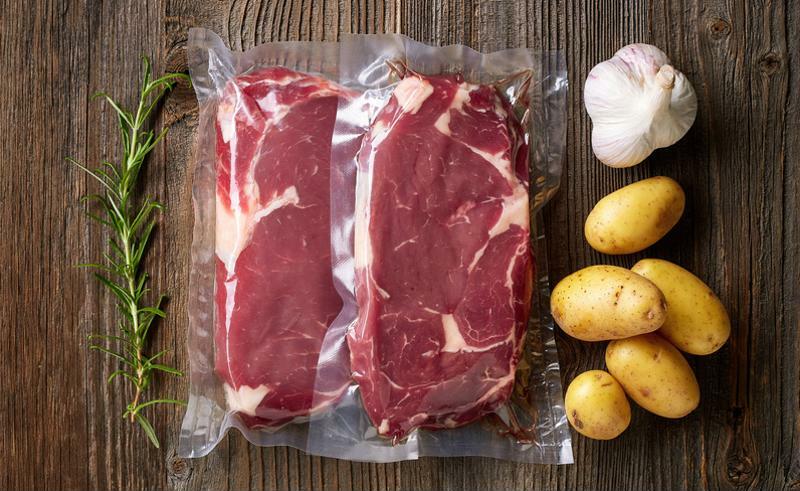 One of the reasons that vacuum sealing has come into the spotlight recently is because they make the trend for meal preparation so much easier. Whether you're getting into fitness and want to eat better or you're hoping to save a little time in the week, vacuum sealing storage systems make it all a bit simpler. Vacuum-sealed food can last up to five times longer in the fridge or freezer, meaning you can prepare all your meals at the weekend and still enjoy fresh food at the end of the week. They can also be used to make meal preparation that bit easier, as vegetables can be pre-chopped and stored in the fridge or freezer until they are needed. The FoodSaver Fresh Food Preservation System is perhaps the best option if you are looking to retain the freshness of a week's worth of lunches. Seal directly in high capacity containers, and you've immediately got a lunchbox full of a fresh food – ideal if you're planning lunches for the week. It's possible to keep food fresh for longer periods of time. If you just can't resist the savings of buying in bulk, but you don't have the huge family needed to eat 5kg of mince before it goes bad, vacuum sealed storage is the perfect solution. Fresh, frozen and dry foods can all be stored with a vacuum sealing system to extend their shelf life for up to five times longer than other storage methods. This means that you can stock up on multibuy and bulk-buy offers in the supermarket without having to worry that the food will be wasted before you can eat it. For those who want to use vacuum sealing as a powerful long-term storage solution, one of FoodSaver's more heavy duty vacuum sealing systems will give you the reliability you need. These systems have more intensive use in mind, with different speed options for different foods, seal-only options for fragile foods, and a variety of accessories. This means that you can adapt your model to effectively store anything from popcorn to an entire turkey. Systems like the Vacuum Sealing System with Roll Storage, the Automated Vacuum Sealing System, and similar models are all more than up to the task. Now you know what type of vacuum sealing system would best suit you, why not take a look at FoodSaver's full range of reliable vacuum sealing solutions? You can browse all our models online.